We heard our valued customers loud and clear, we know others are offering yearly memberships but the prices are astronomical. We put our heads together and now offer affordable payment plans for our inexpensive packages that will have you silky and smooth in no time at all. Call us for your complimentary consultation. Memberships as low as $39 per month. We are providing exceptional service for great people. No Jerks! Body Bar is proud to offer our patients state of the art technology in Laser Hair Removal by using 2 different platforms to customize your hair removal treatments. 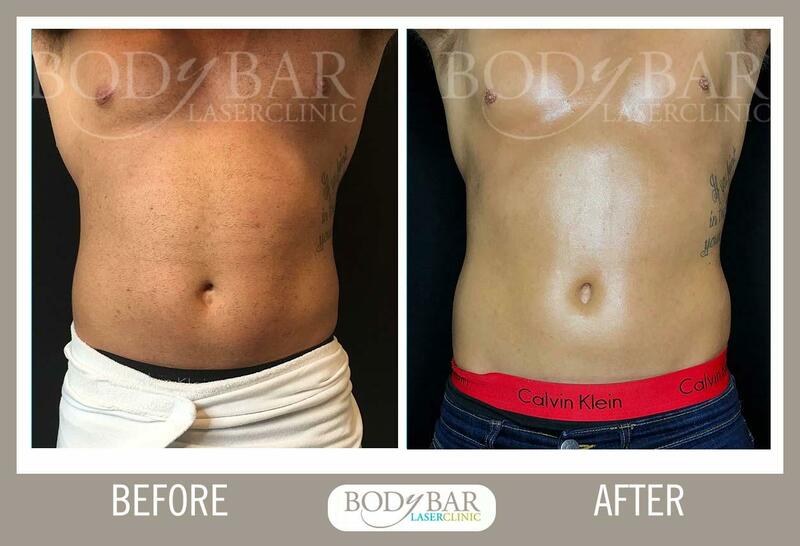 Body Bar Laser Clinic uses the Candela Gentle Max Pro and Cutera Excel HR. Both lasers offer Alexandrite and Nd:YAG wavelengths to provide you with the safest, most effective treatment. We now offer a faster, gentler way to remove unwanted hair, for all skin types, with long-term results. Laser hair removal is a finely tuned, sophisticated procedure done with the use of a laser. The laser emits a gentle beam of light that passes through the skin, to the hair follicle, where it is absorbed. Upon absorption, the laser energy is transformed into heat, which disables the hair follicle. Most patients experience little discomfort at the treatment site because of the laser’s cooling device. The laser is FDA approved and in general four to six laser treatments with some touch ups, this may vary from patient to patient. Four to eight weeks apart are required for permanent hair reduction. We offer laser systems for dark and light skin types. Our patients enjoy the freedom that laser hair removal provides them day to day. Laser hair removal can vary from person to person, however on average you may require 8-12 sessions for 60-95% removal. Client commitment is very important, as you will need to come every 4-8 weeks depending on the area being treated. Hair reduction is dependent on stress, hormonal changes, medication, regularity of treatments and color of skin & hair. Poly Cystic Ovary Syndrome also slows the results of treatments on the face and maintenance may be necessary. How do I know laser hair removal is right for me? We offer a FREE consultation and patch test if required. You are under no obligation to book a treatment with us by having a consultation, however, it will give us an opportunity to explain all about our Laser, how it works, and whether or not you are a suitable candidate. 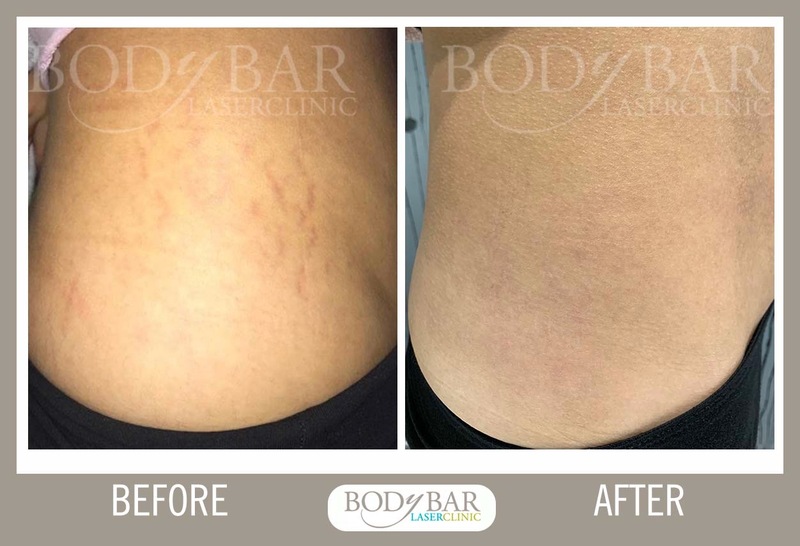 The patch test will also give you an insight into how well our lasers work! Test patches are not to see if machine produces results, it is strictly to determine likeliness of adverse reaction. We offer a FREE consultation and patch test if required. You are under no obligation to book a treatment with us by having a consultation however it will give us an opportunity to explain all about our Laser, how it works, and whether or not you are a suitable candidate. The patch test will also give you an insight into how well our lasers work! Test patches are not to see if machine produces results, it is strictly to determine likeliness of adverse reaction. What should I expect following my laser hair removal session? Hair may grow in normally after treatment & can take up to 21 days after the treatment to shed. Shedding of the surface hair may occur and this appears as new hair growth. This is NOT new hair growth. You can clean and remove the hair by washing or wiping the area with a wet cloth or loofah sponge. Not all hairs are guaranteed to shed following a laser hair removal session. The day before you are due to have your treatment, shave the area. Shaving the same day as your treatment may leave the skin sensitive, irritated and more prone to reaction. Our technicians will not shave; this is required before your treatment. We cannot do the treatment on the day if the area hasn’t been prepared. Also refrain from using any perfumes, body lotions, moisturizers, make-up and deodorants on the areas to be treated for that day. How will my skin look after my laser treatment? Immediately after the Laser procedure the area can be slightly pink to very red which is completely normal. This may last up to 24 hours (or 2-3 days which is rare). In some cases follicular edema will be present, especially in areas where the hair may have been course or dense. I have had a series of treatments and have hair in a few areas; did the technician miss a spot? It is normal to be patchy during the hair removal process, as we cannot identify which hairs are in anagen/active hair growth stage and therefore hairs will not be removed systematically in a perfect reduction pattern. How do I know I received an effective treatment? There are many clinical end points that your laser technician is looking for. Your laser technician is looking for skin response, hair absorption and peri-follicular edema. You may or may not have 1 or all of these clinical signs. Body Bar Laser Clinic offers some of the most competitive pricing on hair removal with the latest technology. We can customize a quote specifically for you, during your consultation. No aesthetic or medical treatment comes with a guarantee, results can vary from person to person and there would be no way of knowing other than to provide industry statistic averages based on the technology we use and frequency of treatments. There is 10% of the population that will not respond and there is always a risk that hair may be stimulated at first on the face on women before being able to be removed. Laser in general can be uncomfortable, especially if it provides effective results. However, the technology we use has the latest in advancements in place to make the treatments tolerable and quick without sacrificing efficacy. Does laser work on blonde or fine light hair? Blonde or fine hairs are not likely to be permanently removed by the laser. Regrowth can be stunted or delayed for an unknown period of time, however, no FDA approval on clearance has been given for laser hair removal of blonde, red, grey or white hair (fine or course). Do I have to grow out my hair to have laser hair removal done? NO! The best part of having Laser done is that once you finally decide to take that step you never have to look at that unsightly hair again! You must avoid bleaching, plucking, threading and waxing hair for 4-8 weeks prior to treatment (depending on the area). The only thing allowed is shaving or cutting. You can also shave in between treatments and this will not affect the Laser or make the hair any stronger. Plucking can cause stimulation of new hair growth in hormonal areas such as the chin & upper lip. Can I have laser performed if I am under the care of a doctor or on medication? Some medications are contra-indicated to Laser but we will be able to go through this in further detail during a consultation. If at any time during a course of treatments you start taking a new medication (herbal, anti-biotic etc) it is CRUCIALLY important that you let the technician know before she begins the treatment. Depending on the wavelength that we are using for your hair removal treatment, sun must be avoided anywhere from 1 -3 weeks prior to treatments. Self-tanners must not be on the skin, as the laser will target the pigment in the product and cause burning. Also, avoiding sun for 2 weeks after a treatment to decrease your risk of hyper-pigmentation staining on the skin. Can I have laser performed if I am pregnant or breast-feeding? It is Body Bar Laser Clinic’s policy to refrain from performing any laser or light based treatments on any client that believes she is pregnant or is currently breast-feeding. Although there are no known risks associated or related to treating pregnant or breast-feeding females, we would prefer to err on the side of caution and continue treatments once breast-feeding has been concluded.